As a debut novelist, I’m enjoying the opportunity to do book signings. I’ve done four since Fairer than Morning released on May 10th, and each event has taught me something new about readers. One lesson has been constant for all my signings. Readers who don’t usually read inspirational fiction may decide to read a novel if they discover it’s based on a true story. I shouldn’t be surprised, because my own interest in true stories drew me to the Hanby family’s dramatic history. One of the chief pleasures of writing this series was the chance to spread the news about an example of Christian heroism from our past. Writing about real people does present challenges. Real lives don’t always come in neat packages that fit into a novel’s boundaries. 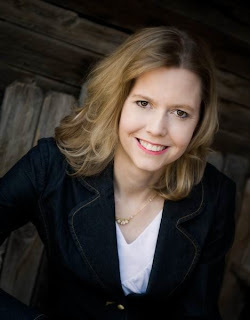 As a historical novelist, my goal is to represent the central truth about the characters in my books, with the understanding that I may need to change timelines or supporting characters in order to tell a good story. Because my characters are not famous Americans like Thomas Jefferson, there are many gaps in their historical records. I must use my imagination to fill in details. I take my responsibility to history seriously, so I use an afterword in each of the novels to explain which parts are fact and which are fiction. When I was a young girl, my favorite books transported me into a real historical person’s life. That long-vanished world became my own for a few precious hours. 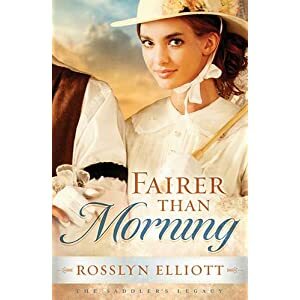 I hope my adult readers will find that same thrill through the romantic historical drama of Fairer than Morning. You can learn more about Rosslyn Elliott and her book at her website.